These monthly reports contain data on visitor arrivals, general fund tax revenue, building permits and wage and salary jobs. 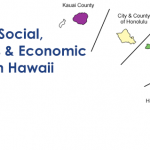 The report provides concise statistical information and analyses on Labor, Income and Prices, Taxes, Tourism, Construction, and other indicators, as well as an overview of the State of Hawaii and the four counties. This report presents statistics on social, business and economic trends for the State and each of its four counties, annually from 1990 to 2017. DBEDT released the “2017 State of Hawaii Data Book” today. The state’s Data Book is the most comprehensive statistical book about Hawaii in a single compilation. 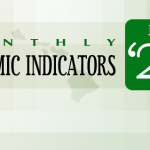 DBEDT released a report today, which analyzes the impact of international students on Hawaii’s economy. DBEDT’s Research and Economic Analysis Division (READ) created the report, while the Business Development & Support Division (BDSD) leads the state’s efforts for international student exchange.